Take some time this year and promote world peace. Its easy enough when we do one small thing each day. Here are three of the organizations that I promote. World Prayers gather the great prayers written by the spiritual visionaries of our planet into an online database representing all life affirming traditions. The World Prayers archive is representative of life affirming faiths and spiritual practices. Artists 4 Peace is an International project. The purpose of Artists 4 Peace is to promote Love, Peace and Understanding throughout the world. If we work together we can make a difference. Click the link above or the logo to find out more about Artists 4 Peace. Bloggers for Peace is a group of many hundreds of individuals from around the world who have committed to publishing at least one (1) post per month promoting peace or the idea of peace. These posts might be creative stories, articles, photographs, videos, poems, memes, art or interpretive medium. Bloggers for Peace is a community effort. Consider joining. Devote at one post a month to, for or about peace. Put a “Bloggers for Peace” badge on your blog. Place the tag: B4Peace on your post. Invite your followers and readers to join. 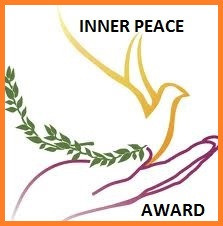 click: Bloggers for Peace page. Thank you so much. Peace is so important for us and it’s so good to have another way to work towards it! many good thoughts, thank you for sharing ! Thank you… I have been tweaking the blog posts seeing now over time how my work is better presented to the audience of people that are operating in a new awareness of the love and inner peace that we share. Our efforts are best clustered together for spreading “Do unto other as you would have them do unto you.” as a common bond for world transformation in all cultures and by all of any positive beliefs. We are to bring each other peace and acceptance and tolerance — raise awareness of compassionate listening and we are to have each others backs to bring all thinking into the light of our God’s grace and the enlightenment thus is ever present in our midst. Eric, wonderful idea. Jesus was a peace activist and 2,000 years later we are still working towards world peace…one person at a time. Like it…Been a “Peace blogger” for a while now..